This is Andrei (see photo below), thought you might like to see what he looks like. We have taught him a lot this week, we are currently in the Commandments, and will teach him about the 10 commandments next. Andrei has struggled with depression, and is currently looking for work. He works out a lot now, and he is slowly recovering from his depression. He has told us that ever since he has met us, he feels happier everyday, and he feels peace when he comes to the church building. He is a science guy, but also believes in God, and has some very VERY deep questions ha ha. We challenged him to be baptized this week, but said that he doesn’t want to offend his family. We see that a lot in Moldova, there are a lot of members who were baptized, and their families don’t even know they were baptized. I know he will accept the invitation to be baptized in the future, he just needs to keep on reading and pray about the Book of Mormon, and he will get an answer from God that it is true. 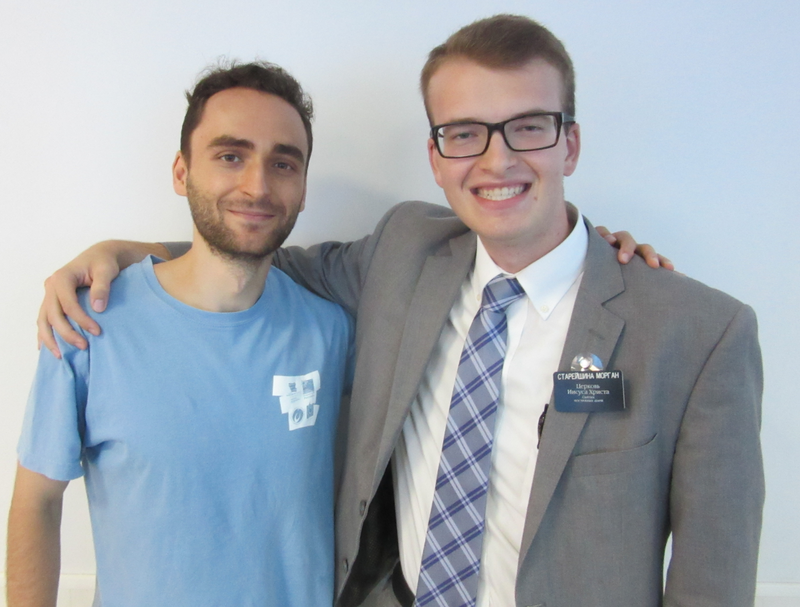 He may turn out to be one of the people I teach on my mission that won’t accept the Gospel, but further down the road in his life, he will remember the teachings and words which Elder Paterson and I taught him, and then he will be baptized and receive the Holy Ghost. There are people who have rejected the message of the restoration, but I know some, not all, will eventually accept the message and accept Jesus Christ into their lives when they are older.